In the Upanishads, it is explained that the Atman, the Self, represents itself differently in the seven-fold movement of Prakrti according to the dominant principle of the consciousness in the individual being. These seven folds of consciousness are – 1) Physical consciousness, 2) Vital consciousness, 3) Mental consciousness, 4) Supra-intellectual consciousness, 5) Consciousness proper to the universal Beatitude or Blissful consciousness, 6) Consciousness proper to the infinite divine self-awareness, and 7) Consciousness proper to the state of pure divine existence. Sri Aurobindo calls the consciousness proper to the infinite self-awareness as the Chaitanya Purusha. The essential nature of Brahman as revealed in deep sleep and Yoga is Chaitanya (pure consciousness). 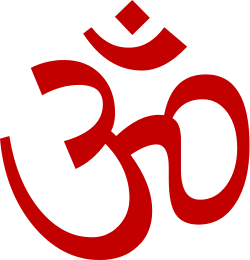 The Vedantists also speak about the Consciousness or Mayaopahita-chaitanya that is associated with the indescribable Maya which is responsible for the functions of creation, preservation and dissolution of entire Existence, and about the Consciousness or Avidyaopahita-chaitanya that is associated with Avidya which causes the wrong identification of the Atman with the body etc. ; after negating both Maya and Avidya, that is, after all distinctions are obliterated, what remains is Pure Consciousness or Chaitanya. The form of an object that the mind assumes, after coming into contact with that object or enveloping it, is called Vritti. The process of enveloping is called Vritti-Vyapti. Vyapti is pervasion and the pervasion by the mind of a certain location called the object is Vritti-Vyapti. 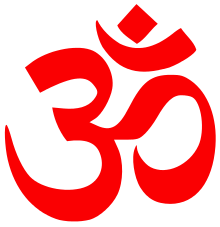 The awareness that the object is there illuminates the object due to the presence in this moving process called the mind and is called phala-vyapti. It is only because of the consciousness attending on the mind that the object is perceived. Vedanta says that the object cannot be wholly material and there is no qualitative difference between the object and consciousness which consciousness by coming into contact with the object knows that the object is there which fact implies that consciousness is inherent in the object. This is the Vishaya- chaitanya or the 'object-consciousness' which does not mean consciousness of the object but the object which is a phase of consciousness which prevails everywhere. ↑ Rig veda Samhita Vol. 3. III Ashtaka VII Adhyaya Sukta XIII (XL) .5. Wm. H. Allen and Company. p. 200. ↑ Sri Aurobindo. The Upanishads: Texts, Translations and Commentaries. Lotus Press. p. 45. ↑ S.C.Sen. The Mystical Philosophy of the Upanishads. Genesis Publishing (P) Ltd. p. 178. ↑ Sri Candrasekhara Bharati of Sringeri. Sri Samkara’s Vivekacudamani. Bhartiya Vidya Bhavan. p. 494. ↑ Choudur Satyanarayana Murthy. Gleanings from Rig Veda – When Science was Religion. AuthorHouse. pp. 66–67.